Discussion in 'Transformers News and Rumors' started by griffin-of-oz, Nov 9, 2018. 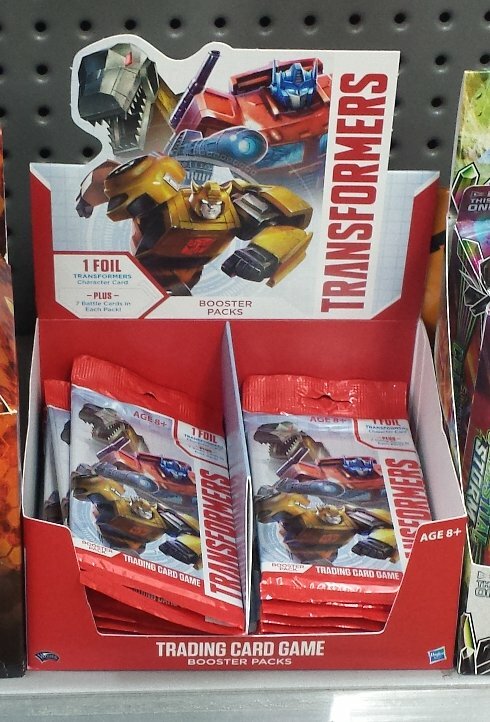 - Energon Igniter Power Plus w2 Shatter, found at BigW. 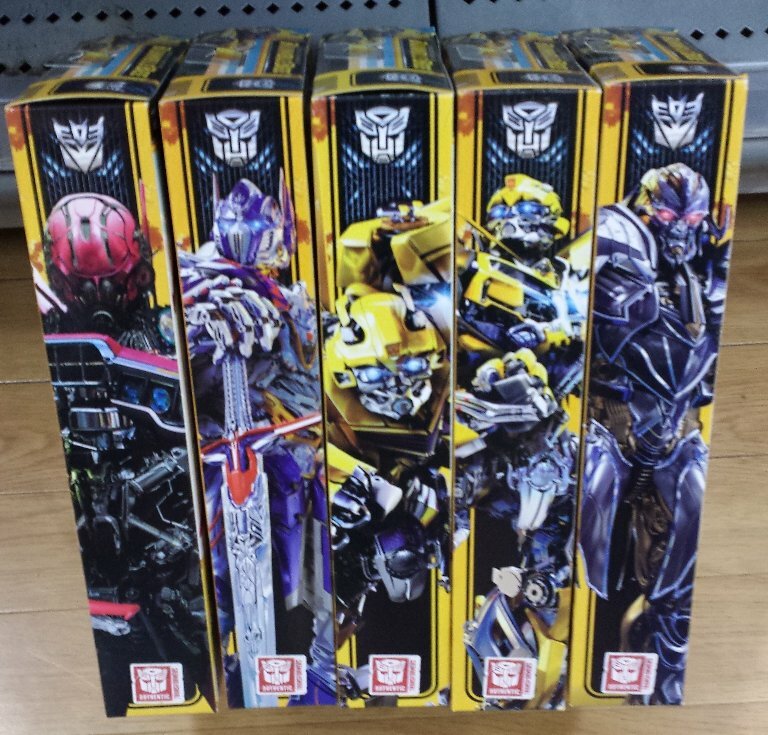 - Bumblebee Movie Titan Changer w2 (re-release of TF5 Bumblebee and Megatron) also found at BigW. 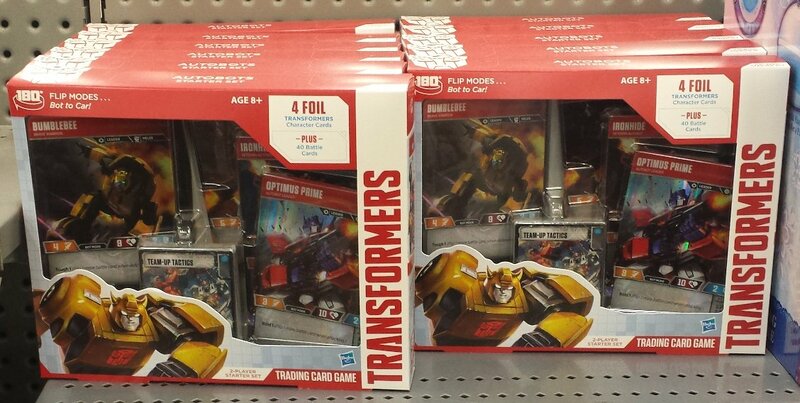 - Rescue Bots Rescan, waves 18 & 19, which has the new figures of Race Car Heatwave and ATV Bumblebee, found at Kmart. 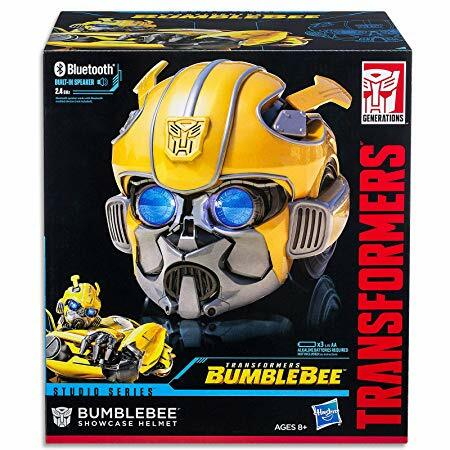 - Studio Series Bumblebee Showcase Helmet is also on hand at Amazon Australia, for AU$112, and looks to be the only "retailer" to be stocking it in Australia. - also, the Trading Card Game has now appeared at two national retailers - Kmart and BigW, with the Starter Pack being $24-25 and the Booster Packs being $6-7. 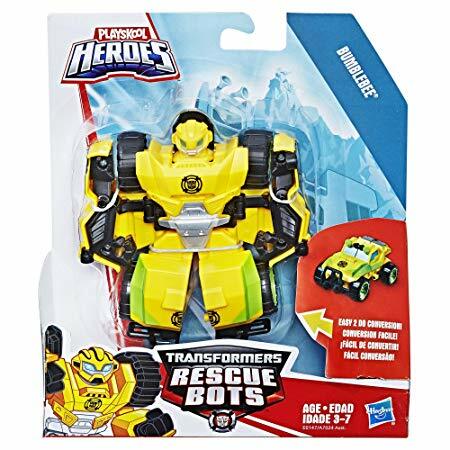 UPCs for Titan Changers Bumblebee and Megatron? Some extra photos of the wave 2 Titan Changers... despite being a surprise to find out that there was a second wave, it was very disappointing to find that the two "new" figures are just re-releases of TF5 Titan Changers (Megatron and Bumblebee). 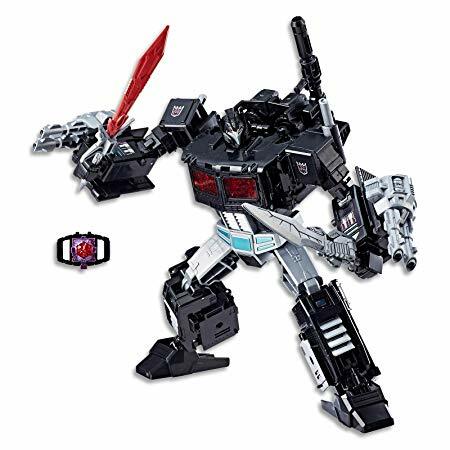 Meanwhile, the third Titan Changer from TF5 (Optimus) who was in the first wave of Bumblebee Movie Titan Changers, might have been re-released in wave 2 packaging, because it has the co-sell of Megatron on it. 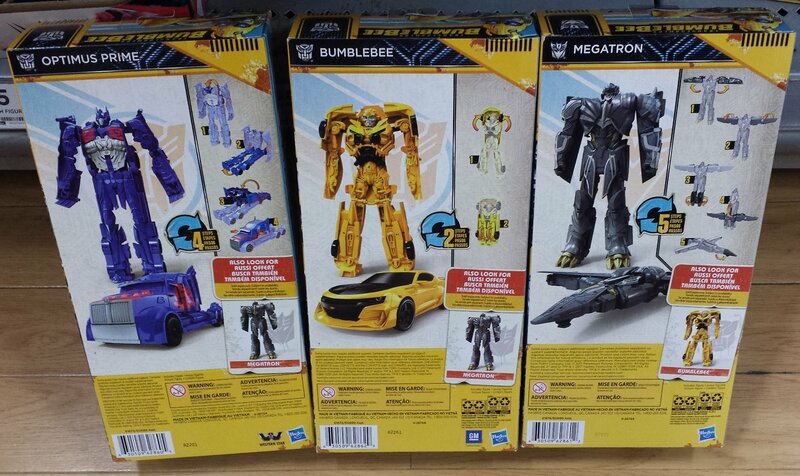 My guess is that the consecutive product numbers might have meant that the three TF5 Titan Changers were originally planned to be wave 1, and then we'd get the new Shatter and new Bumblebee later as wave 2. 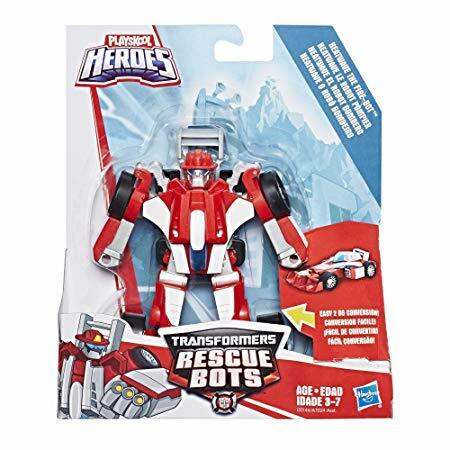 Meanwhile, the third Titan Changer from TF5 (Optimus) who was in the first wave of Bumblebee Movie Titan Changers, might have been re-released in wave 2 packaging, because it has the co-sell of Megatron on it. EDIT: Maybe. That's European packaging. Sooo... if my theory is correct that Optimus, Megatron and Camaro Bee were originally meant to be wave 1, they must have needed to change the packaging at the last minute for Optimus so that it wasn't promoting a toy that wasn't to come out for a couple months... and then still use that original packaging when it was re-released in wave 2 with Megatron and Camaro Bee.